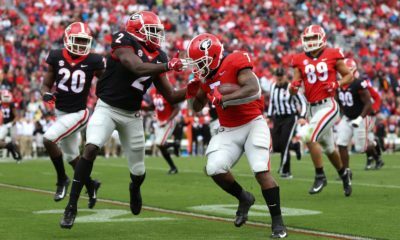 ATHENS, Ga. – Georgia senior Damian Swann and true freshman Nick Chubb have earned Southeastern Conference weekly honors following the Bulldogs’ 45-32 win at Arkansas, according to a league announcement. Swann has been named the SEC Defensive Player of the Week for the first time in his career while Chubb earned the SEC Offensive Player of the Week award for the first time. 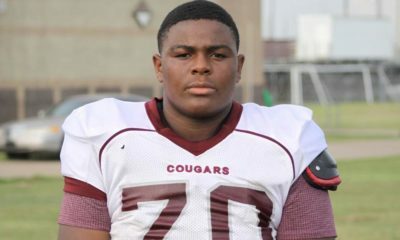 Chubb was named the SEC Freshman of the Week the two previous weeks. This marks the seventh and eighth SEC weekly awards this season for the Bulldogs. Junior tailback Todd Gurley has been named the Offensive Player of the Week twice (Clemson, Tennessee), senior inside linebacker Amarlo Herrera (Clemson) and Swann (Arkansas) have each been named the Defensive Player of the Week once and freshman tailback Sony Michel has also been named the Freshman Player of the Week (Troy) in addition to Chubb’s three honors. Swann started the 34th game of his career and finished with a career-high 11 tackles, including a sack, and forced two fumbles. 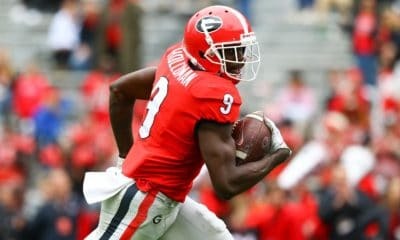 The Atlanta native also had his second interception in as many games during Georgia’s win over the Razorbacks. 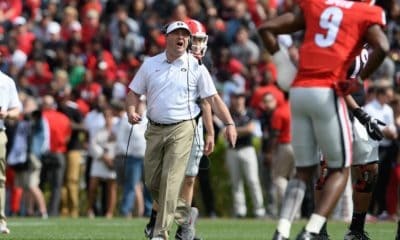 Thanks in part to Swann’s efforts this season, Georgia is leading the nation with a +13 turnover margin. The true freshman from Cedartown, Ga., started his second game in place of Todd Gurley and ran 30 times for a career-high 202 yards (6.7 avg.) and a career-high two touchdowns. Chubb jumpstarted the Bulldog offense after running 12 times for 127 yards (10.6 avg.) and two scores in the opening half, allowing Georgia to go up 38-6. Chubb is the first true freshman to reach 200 yards rushing for the Bulldogs since Rodney Hampton in 1987. 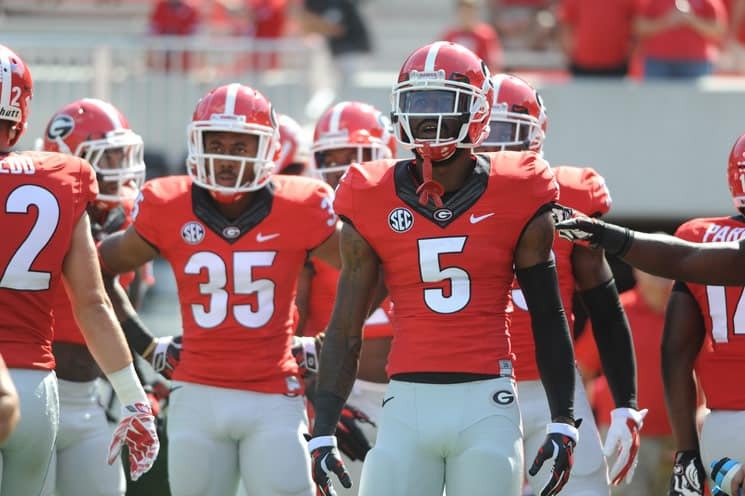 He has accumulated 345 yards and three touchdowns in Georgia’s two consecutive road wins with Gurley sidelined.